Ships like cruise ships and cargo ships cover a very long distance to ship the cargo and other things. Many vessels travel from one part to another part of the world and thus the passengers and crew members experience continuous climate changes. It is important to install high-quality marine HVAC systems to ensure the passengers will face no issue due to climate and temperature change. 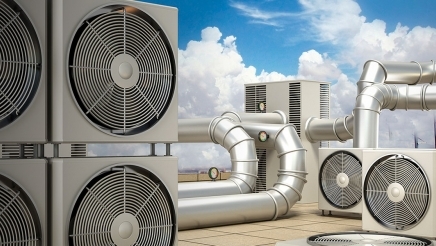 HVAC stands for heating, ventilating and air-conditioning. These three are the most essential procedures that Offshore HVAC system performs. If the system is not reliable or perfectly installed, it can be quite dangerous for the people inside the ship and also for the goods stored in ship’s cargo section. We have spent many years in this business and we have good experience of installing cutting-edge HVAC offshore systems into ships. Our job is giving you the best climate systems that can help you in avoiding harmful changes occurred in temperature due to climate change. We don’t break technical disciplines set by organizations for the vessels. We follow all the standards and then provide tailored solutions to the clients for their HVAC marine installation demands. It is not as easy as buying and air conditioner and installing it into the office or home. It requires proper plans, design and support of experts for implementing the plans. As a rapid marine HVAC installation company we have performed HVAC installation jobs for many ships and reduced their risks to the climate change. You can explain us that which kind of system you want for your vessel and we will design it. There will be a tailor-made design of marine HVAC system according to which we will build the system and install it in your ship. We provide you support of industry’s best engineers and project management team, who promise to work better than your expectations. Plenty of marine HVAC companies claim to deliver client-oriented support, but their mistakes come up when the vessel moves in the sea and HVAC system doesn’t work properly. Such mistakes can also be dangerous for the life and finance of the shipping company. No customers would like ship or travel in a ship that doesn’t feature efficiently working maritime HVAC system. You can prevent the loss by choosing us for installation of HVAC in your ship. We are expert in off-shore HVAC installation. We build the systems that can offer quality ventilation for the heat produced in engine and other hazardous areas of the ship. Our marine HVAC design includes perfect plans for heating, cooling and air conditioning. It means, you can maintain required temperature inside the ship regardless of climate outside the vessel. We have worked on many projects and our engineers maintained our reputation by delivering satisfying solutions to our clients. You can also opt the support for maintenance of HVAC system and we will fix all the issues related to HVAC in your ship. We provide a complete service covering all the technical disciplines. We offer support for every stage of the design, build and installation process with services that include general consultancy and project management as well as core design and engineering. Our dedicated staff includes marine engineers, designers and project managers. Our projects take us all over the world and cover offshore installations as well as every type of vessel up to aircraft carriers and the largest cruise ships.